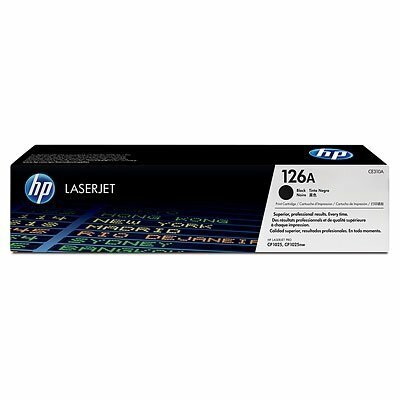 Toner oryginalny HP 126A (CE310A) black do HP Color LaserJet CP1025 / Pro 100 Color MFP M175a / Laserjet Pro M275 na 1,2 tys. str. 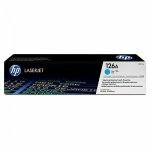 Toner oryginalny HP 126A (CE311A) cyan do HP Color LaserJet CP1025 / Pro 100 Color MFP M175a / Laserjet Pro M275 na 1 tys. str. Toner oryginalny HP 126A (CE312A) yellow do HP Color LaserJet CP1025 / Pro 100 Color MFP M175a / Laserjet Pro M275 na 1 tys. str. 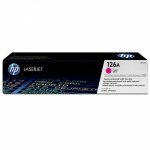 Toner oryginalny HP 126A (CE313A) magenta do HP Color LaserJet CP1025 / Pro 100 Color MFP M175a / Laserjet Pro M275 na 1 tys. str. Toner oryginalny HP 312X (CF380X) black do HP Color Laser Pro M476dn / Pro M476dw / Pro M476nw na 4,4 tys. str. 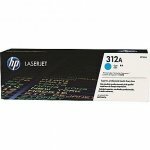 Toner oryginalny HP 312A (CF381A) cyan do HP Color Laser Pro M476dn / Pro M476dw / Pro M476nw na 2,7 tys. str. 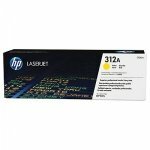 Toner oryginalny HP 312A (CF382A) yellow do HP Color Laser Pro M476dn / Pro M476dw / Pro M476nw na 2,7 tys. str. Toner oryginalny HP 312A (CF383A) magenta do HP Color Laser Pro M476dn / Pro M476dw / Pro M476nw na 2,7 tys. str.